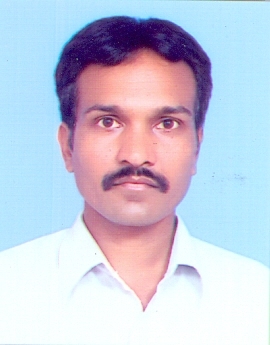 He has about 5 years experience as a Machine Operator at PCB manufacturing Company, Gandhinagar. He has been working with Gujarat National Law University since October 2006. Managing Circulation counter & all other relevant services. Assistant on acquisition, cataloguing and other relevant work. Responsible for managing and maintaining stock area of the Library, which includes shelving, organizing and managing the collection and other related work of stack area.. Provide assistance to students, Faculty members and other users to find out Books, Journals and other information from Library. Responsible for newspapers cutting from newspapers, related to GNLU News. International Conference on Changing Landscape of Science and Technology Libraries (CLSTL 2017) organized by Indian institute of Technology, Gandhinagar on 2-4 March, 2017. Attended a workshop on "Open Data Open Knowledge" organised by Vikram Sarabhai Library, Indian Institute of Management Ahmedabad and World Bank, New Delhi held on April 25, 2018 at Indian Institute of Management Ahmedabad. One Day National Workshop on "Current Trends: The Future of next Library??" held at S.P.B. Patel Engineering College on 22nd February, 2017. He is eager to Update his knowledge. GNLU "Excellent Administrative Staff Award" for the year 2017-2018. Wife - Mrs Kalpana Parmar.